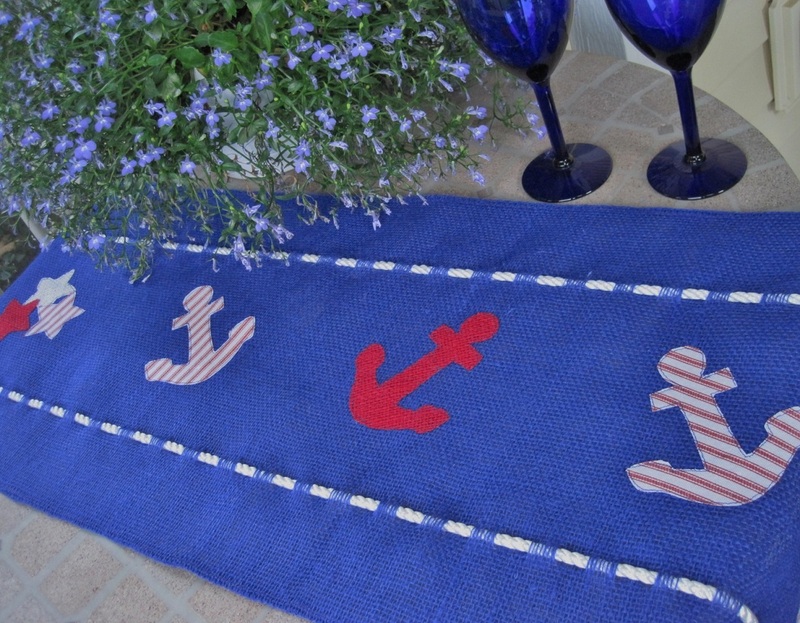 I'm back on my obsession with burlap! 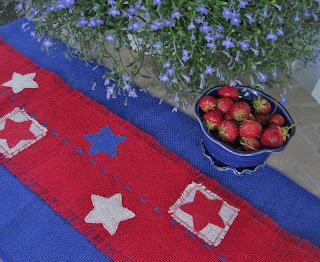 I've created a couple styles of table runners that I thought would be a fun way to brighten up any summer buffet. 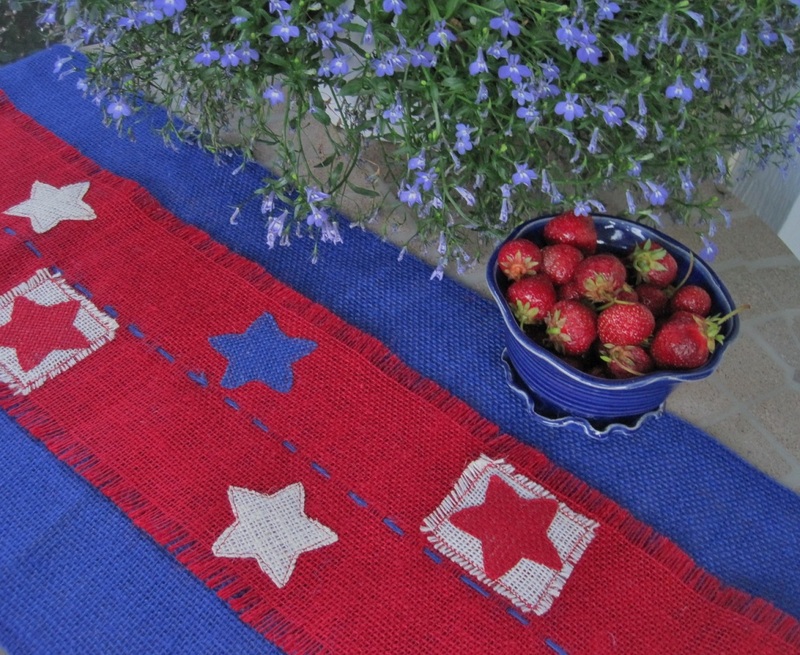 Above I wove together blue and red pieces of burlap then appliqued hand cut stars the full length. 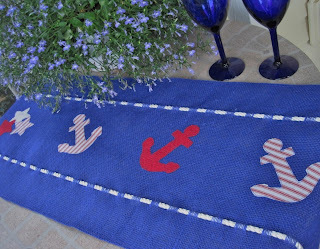 Below I wove some dock line the full length of the runner to create a center on to which I appliqued hand cut burlap and ticking anchors. They are time-consuming but I just love to work with burlap!